Plymouth tyres, are a tyre shop, if tyre blows or maybe you just need a tyres in plymouth we sell it all. If you are looking for cheap tyres, you found the right palce. Car tyres and budget tyres, part worn tyres sometimes also called used tyres or nearly new tyres. 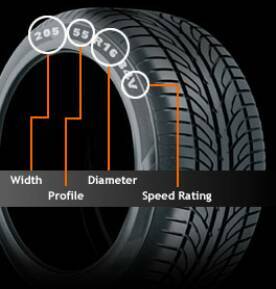 The best tyres in plymouth such as dunlop tyres, continental tyres, michellin tyres, pirelli tyres. We also do van tyres at low price tyres, leading brand tyres, 4x4 tyres and run flat tyres also. OZON GARAGE Plymouth is the right place to take your car if you're looking for effective, friendly, value for money service that puts you first. Welcome to OZON GARAGE, We are Plymouth based company, fast fit and automotive parts replacement specialists in Plymouth. Also We're the leading fast-fit supplier of new tyres and quality part worn tyres in Plymouth and carry stocks of products from leading manufacturers including Pirelli, Continental, Dunlop, Goodyear and Michelin. OZON GARAGE are experts in automotive repair including tyres, MoT repairs, car servicing, exhausts, brakes, and air-con. You can buy car Tyres in Plymouth online here and We will fit them for you. If you are looking for cheap or High Performance Tyres in Plymouth, you found the right place. Check out our Special Offers on New tyres and Quality Part Worn tyres in Plymouth. You may also fill in TYRE QUOTE form and we will come back to you with our best offer on tyres within 48Hrs. rims shown not included in the price.